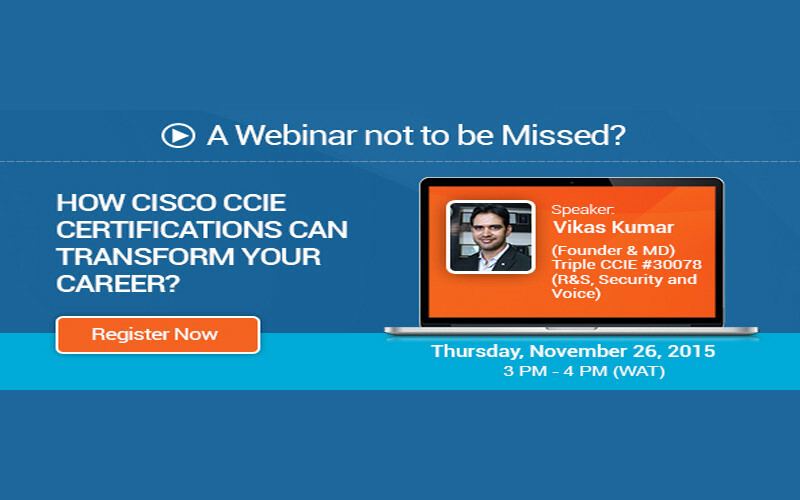 [NB Webinar Series] - How Cisco CCIE Certifications Can Transform Your Career? 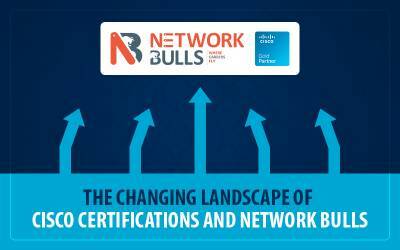 November marks for another great initiative, Network Bulls launches its most awaited webinar series for Cisco/Microsoft certification aspirants. 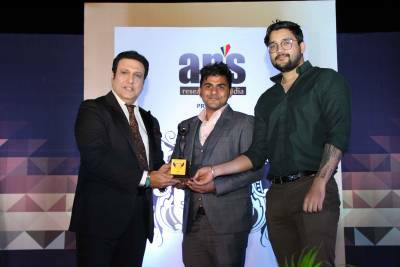 This series aims at educating aspirants about various facets of Cisco and Microsoft training, benefits and its career impact. First webinar of this series would be conducted on 5th November 2015 and the presenter of webinar is going to be Mr. Vikas Kumar, Founder & MD of Network Bulls and a Triple CCIE #30078 (R&S, Security and Voice). Off course, this would be a great opportunity for attendees to interact with triple CCIE Certified Mr. Vikas Kumar one to one and listen his views on Cisco Certification Training & its Career Impact. 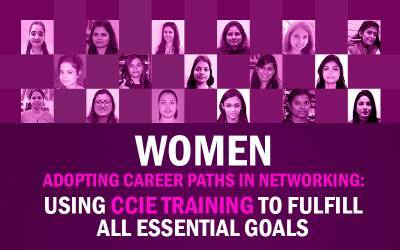 Webinar Topic – How Cisco CCIE Certifications Can Transform Your Career? Cisco Certifications play pivotal role in career success of Networking professionals or Students. Especially CCIE Cisco Certifications which are regarded as world’s most demanded & highly paid IT Certifications. This webinar will guide you through everything you need to know before perusing CCIE as a Career? In this webinar attendees would be taken through different CCIE tracks, entire CCIE Career journey for R&S, Security, Data Center and Collaboration tracks separately. 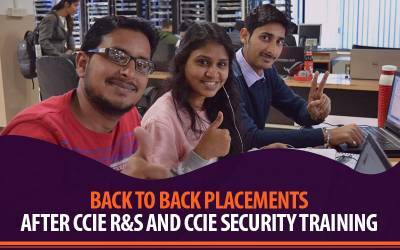 It would help CCIE aspirants to understand what all they will learn in each of tracks, which is most popular track and what career positions they can achieve after finishing which course. This webinar would also take participants through Network Bulls journey, milestones and customized courses. First edition of this webinar series would be conducted for participants from Nigeria, Angola, Cameroon, Congo and Kenya. Follow up webinars would be open for aspirants from India, USA, Australia, United Kingdom, and South East & Middle East Asian Countries. Download PDF [NB Webinar Series] - How Cisco CCIE Certifications Can Transform Your Career?